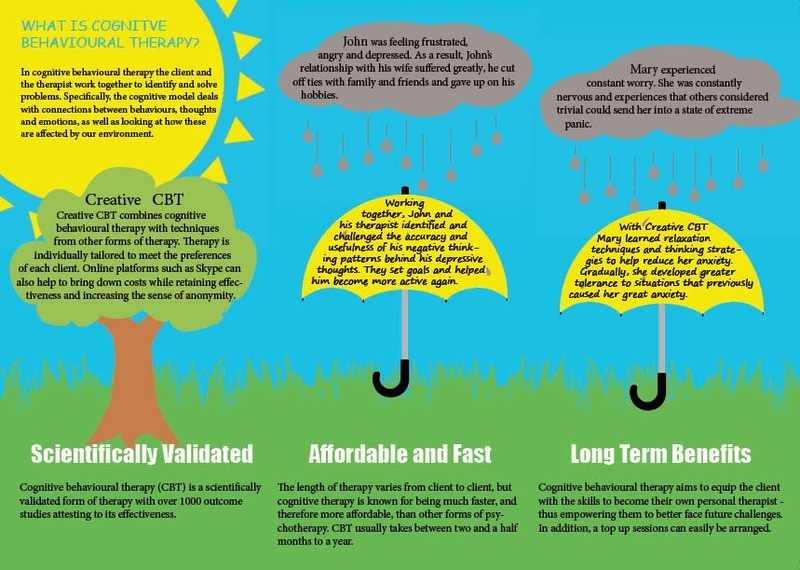 I just finished designing the new Creative Cognitive Behavioural Therapy brochure and sent it off to the printers. 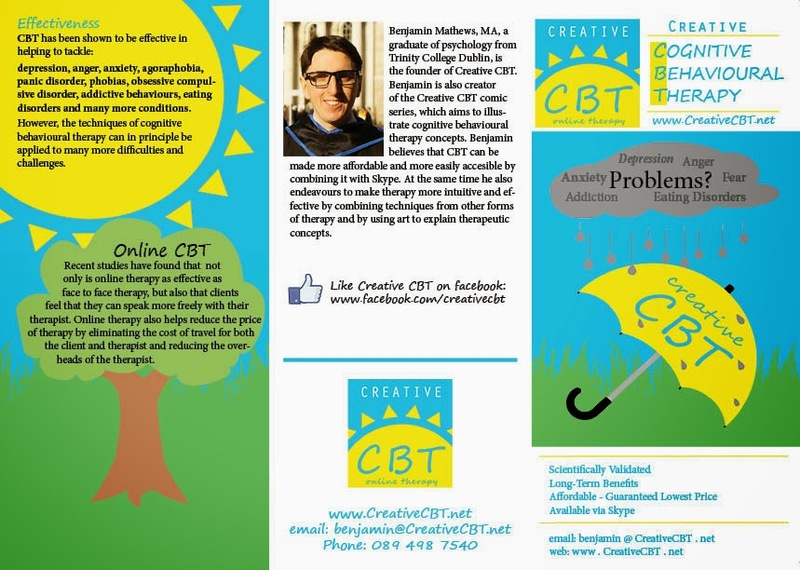 If you are looking for more information about Creative CBT, or would like to distribute the brochure at your place of work, please contact me and I will post them out to you with an information pack if you require. Alternatively, click on the images below to read them full size.